As many as 106 U.S. airports could lose air traffic control service—and effectively be shut down—under automatic spending cuts scheduled to take effect January 2, 2013, according to a new Center for American Progress analysis. Here’s a list of airports that could be affected. And here’s an interactive map showing how the entire country will be affected. The Federal Aviation Administration will have to slash its budget in 2013 by about $1.35 billion, under across-the-board spending cuts known as “sequestration.” And under the terms of the 2011 law dictating the cuts, FAA officials will be unable to shield air traffic control (or any other FAA-funded service) from cuts. To minimize disruption at major airports, therefore, FAA officials will likely be forced to cut air traffic service at airports where they would have the least impact on the traveling public—the smaller airports. The crisis facing the Federal Aviation Administration is illustrative of problems every federal agency will face in the coming months, unless Congress finds a smarter way to ease deficits—one that includes a combination of responsible budget cuts and tax increases. Here’s how we came up with this troubling conclusion. One year ago the nation was enduring the spectacle of Congress refusing to enact legislation necessary for the government to pay its bills. After months of wrangling and only hours away from the country defaulting on its payments, lawmakers finally agreed to adopt the legislation needed to increase the federal debt ceiling—but only on the provision that a rider be added. That rider required deep automatic spending cuts to discretionary programs in fiscal year 2013 if a bipartisan “super committee” could not agree to specific cuts or revenue increases. To absolutely no one’s surprise, the so-called super committee failed to agree to any budget cutting, which means the clock is now ticking down to some $1.2 trillion in automatic spending cuts, also called budget sequestration. It is hard to imagine that this rider could have been crafted in a way that would make it more onerous or destructive. By law, the same amount must be cut from every “program, project and account.” In some instances program managers will have a certain degree of latitude as they try to minimize the damage. In others cases their hands will be tied. As a consequence, the results of these mandated spending cuts to vital programs and services will be unexpected and sometimes bizarre. Any sequestration order issued by the President under the Balanced Budget and Emergency Deficit Control Act of 1985 to carry out reductions to direct spending for the defense function (050) for fiscal year 2013 pursuant to section 251A of such Act shall have no force or effect. But what about the other automatic spending cuts? Is there any evidence that the budget sequestration process, which most agree would wreak havoc at the Pentagon, wouldn’t have similar negative impacts elsewhere? Moreover, does anyone care? The answer to that last question, at least at this juncture, is apparently no. But certainly these are questions that a prudent member of Congress should ask—if not before voting on the legislation, at least before going home to campaign in October with no guarantee that such cuts will be averted. I decided to take a closer look at the specific impact this sequestration process will have on the Federal Aviation Administration, a subject I have written about in the past. That agency, which is responsible for the safety and efficiency of all aspects of civil aviation in the United States, has a $15 billion annual budget distributed among a range of activities. It provides nearly a fourth of those funds as grants-in-aid to local airports. That might be a place where the largest share of the cut could be taken, but the sequestration law won’t allow it. Nor will it allow a disproportionate whack to be taken at facilities and equipment, which accounts for another fifth of the agency’s budget. The required 9 percent to 10 percent cut in Federal Aviation Administration spending, about $1.35 billion, must be taken equally from all activities, and that includes operations—in other words, the control towers. Even within the agency’s operations account there is little flexibility. Some airports, mostly smaller ones, are operated under contract, which means the control towers are run by employees of a private contractor and not by Federal Aviation Administration controllers. But since the money that supports those contracted services are discussed separately in the Appropriations Committee reports that fund the agency, they are, under the terms of the sequestration law, a separate activity and must be cut by no more or no less than the funding provided for agency-operated control towers. Then there is this additional complication: If employees are released temporarily, sometimes referred to as furloughed, the government does not face employment termination costs. But under federal law, if an employee is furloughed for more than 20 workdays (four weeks), that becomes what is termed a reduction in force, or a permanent separation. As is the case with many private-sector employers, a formal separation triggers a number of procedural options for the employee, as well as separation benefits. As a result, the government saves only a portion of the first-year salary from a reduction in force, and if the reduction is not initiated until the second quarter of a fiscal year, then that portion is quite small. In many cases it might be less than a third of the annual pay and benefits of the employee. Similar to other government budget accounts that are made up entirely of salaries and expenses, the air traffic operations budget can only be cut by cutting personnel, and if the sequestration lasts beyond a month or two, the size of the personnel cuts will have to be at least two or three times larger than the dollar reduction in the budget to obtain that level of savings within the requisite timeframe. As a result, the Federal Aviation Administration is quite likely to start with furloughs, which entail no termination costs, in hopes that Congress will shut the sequestration process off before the agency is forced to go to reductions in force. So where would the agency furloughs be targeted? I mentioned in a previous column the possibility of “flightless Fridays.” That, of course, would be an economic calamity of unprecedented proportions and the agency administrator and the secretary of the Department of Transportation can be expected to do everything possible to avoid such an outcome. 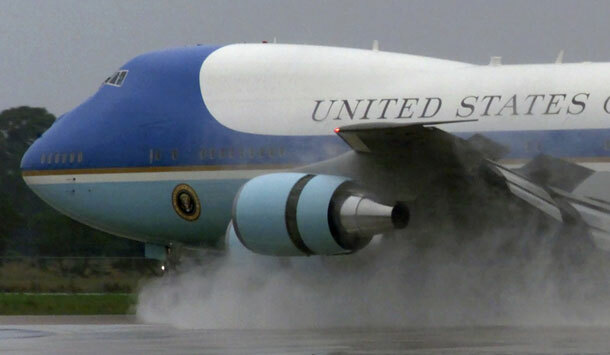 Ultimately, that kind of large-scale disruption in the nation’s air transportation system is where we are headed if the sequestration lasts a full nine months, and the Federal Aviation Administration is forced to make large reductions in force to live within the sequestration spending levels. In the beginning, however, they are likely to consider simply furloughing staff, and I expect that they will be guided by the following statistics when deciding where to cut. Every year about 730 million passengers board commercial air flights in the United States. While the Federal Aviation Administration provides direct services to a little more than 200 airports and funds contracts that provide service to nearly 250 more, 70 percent of the nation’s passengers board planes at the nation’s 29 largest airports, otherwise known as the “major hubs.” Another 70 of the larger airports account for an additional 25 percent of enplanements, leaving the remaining 341 or so towered airports with only 5 percent of all passengers. In 2011 the Federal Aviation Administration had 15,236 controllers working directly for the agency. The budget cut mandated by sequestration is about a 9 percent cut to the annual budget, but the law passed by Congress this past year requires that cut to be made in a period of only nine months (January 2013 through September 2013), meaning that it is actually a 12 percent cut during that period. A cut of that size would require 1,828 controllers to be furloughed, even if administrative, relocation, facility-shutdown, and other costs associated with executing such a large furlough are not counted. The actual number of furloughs required would certainly be more than 2,000 and perhaps in excess of 2,200. But exactly which 2,000 controllers would get notices? An educated guess would be that the cuts would come from the airports where the loss of controllers would have the least impact on the traveling public, specifically the smaller airports. To determine which airports would be most likely targeted for controller downsizing, I consulted the Federal Aviation Administration’s annual report to Congress on the status of the air traffic controller workforce that details the number of controllers assigned to each airport and the agency’s “Passenger Boarding (Enplanement) and All-Cargo Data.” If you sort U.S. airports by the number of passengers boarding at each airport, you will find that you have to eliminate service to at least those airports with fewer than 600,000 enplanements a year in order to scrape together the 2,000 controllers to furlough. That would total about 94 airports. In reality, that number probably understates the size of the service reduction because a significant number of the controllers assigned to smaller airports are directing traffic flying through their sector and not just takeoffs or landings at the airport to which they have been assigned. Assuming many of those controllers must be retained for the integrity of the overall system and the safety of the flights that are not being canceled, then the number of airports and the size of the airports that will be eliminated increases to those with between 700,000 and 800,000 enplanements per year. But those cuts may result in Rep. Buchanan having to drive some 60 miles to and from the Tampa International Airport in Tampa Bay, Florida, every time he returns to his home district from Washington. The closure of Sarasota-Bradenton airport will be far more inconvenient for many of his constituents. You could start with Sarasota-Bradenton’s 15 controllers, who will lose their jobs on January 2, 2013, but they are only the beginning of a much larger story. Without controllers, the airport simply can’t handle scheduled commercial flights. That means the four major airline carriers servicing Sarasota-Bradenton will have to cancel the two dozen or so flights in and out of that airport each day. Unless those flights are diverted elsewhere, the jobs of the pilots and flight attendants working those flights will be in jeopardy. Those almost certain to lose their jobs without air traffic control are the ground crews, airline mechanics, and baggage handlers. Equally at risk are the employees of the airport’s concessionaires and very likely some of the concessionaires themselves. Also endangered are the desk attendants, the car washers, and processing personnel at the eight rental car companies operating out of the airport, as well as the parking lot attendants and cab drivers who help get passengers to and from their hotels. But undoubtedly the biggest hit will be absorbed by the local tourism industry. The managers and staff of the 12 hotels adjacent to the airport will be at greatest risk, but there will undoubtedly be some fallout for hotel and vacation condo rentals scattered all across the Sarasota and Manatee counties. Also likely to pay some price for an airport shutdown will be restaurants, drinking establishments, and even local theater and dance groups. How many of the 650,000 people who had been expected to visit the Sarasota area next year will pass on booking stays at Long Boat, Lido, Siesta Keys, or at the other golf resorts dotting the region if the airport closes? Sequestration may give us the definitive answer, but it is a question that most local businesses would rather see left unanswered. That airport and the bustling commercial center it serves is now represented by Rep. Steve Womack (R-AR), who argued for most of 2011 that, “It is unconscionable to consider an increase in the debt ceiling without significant and guaranteed limits on federal spending.” The sequestration rider which Speaker Boehner inserted in the debt ceiling bill in July 2011 clearly seemed tailored to meet Womack’s demand, as he joined with 217 other House Republicans to make it law. But similar to Rep. Buchanan, Rep. Womack may find it easier to talk the antigovernment talk than to live with the consequences. He may also find that the residents of northwest Arkansas are capable of being even more unhappy about sequestering parts of the domestic budget than he and his fellow Republicans are about sequestration at the Pentagon. There will be a lot of unhappy members of Congress when the Federal Aviation Administration announces its sequestration plans, and many House members such as Reps. Buchanan and Womack will be directly responsible for placing the agency in the position that requires closing control towers in their home districts. Included on this list will be Rep. Womack’s neighbor to the north, Rep. Billy Long (R-MO), who represents the Springfield–Branson National Airport that boards about 350,000 passengers a year; Rep. Chuck Fleischmann (R-TN), who represents the Chattanooga Metropolitan Airport enplaning a little more than 300,000 passengers a year; Rep. Randy Neugebauer (R-TX), who represents Preston Smith International Airport with 500,000 passengers annually; Reps. Chip Cravaak (R-MN) and Sean Duffy (R-WI), who share the Duluth International Airport; Rep. Reid Ribble (R-WI), who represents Green Bay’s Austin Straubel International Airport providing service to 350,000 passengers a year; Reps. Tim Walberg and Fred Upton, Michigan Republicans who share the Kalamazoo-Battle Creek International Airport; Reps. John Barrow (R-GA), who represents the Augusta Regional Bush Field Airport; and Rep. Kevin McCarthy (R-CA), who represents Bakersfield, California, served by Meadows Field Airport. For the past 18 months Washington has been rife with cavalier ideas about a broad retrenchment in the role of government, with little or no attention being paid to the real world consequences that would flow from such policies. The Federal Aviation Administration is only one example of the kind of mindless economic chaos that a know-nothing approach to budget cutting can create. Such reckless slashing of vital services will not only fail to diminish the deficit but will also help strangle a struggling economy. The 112th Congress does not presently look like one that will be viewed favorably by historians. And perhaps its greatest contribution will be unintended—providing the American people with a clear lesson on the importance of government services that we have long taken for granted. Scott Lilly is a Senior Fellow at the Center for American Progress, who writes and researches in a wide range of areas, including governance, federal budgeting, national security, and the economy.